It’s hard to beat the convenience of living on The Terrace! This immaculately presented 3 bedroom townhouse is nestled to the rear of the complex, providing you with privacy plus peace and quiet. This townhouse is perfect for anyone desiring a low maintenance home so close to town, astute investors, or parents looking for a home for their university-bound children. A LIM and builder's report will be available. 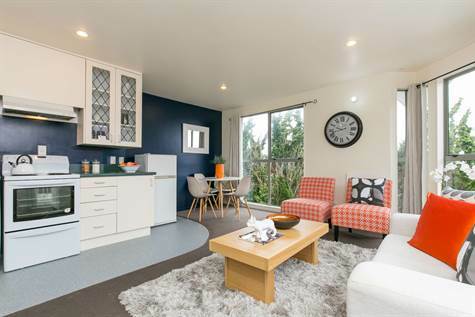 We suggest you view this one immediately, as seldom does a townhouse with all these stunning attributes, so close to the CBD come on the market.